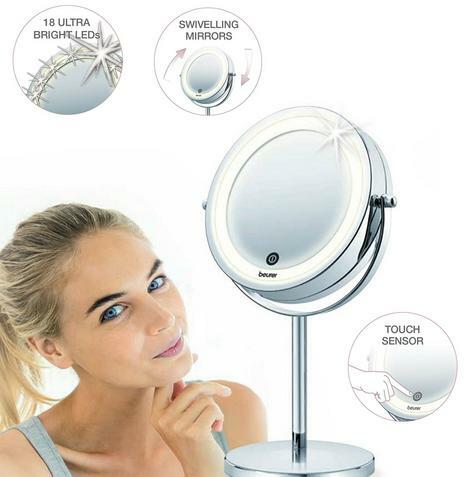 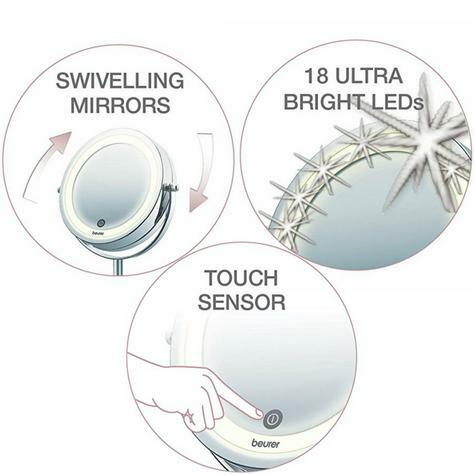 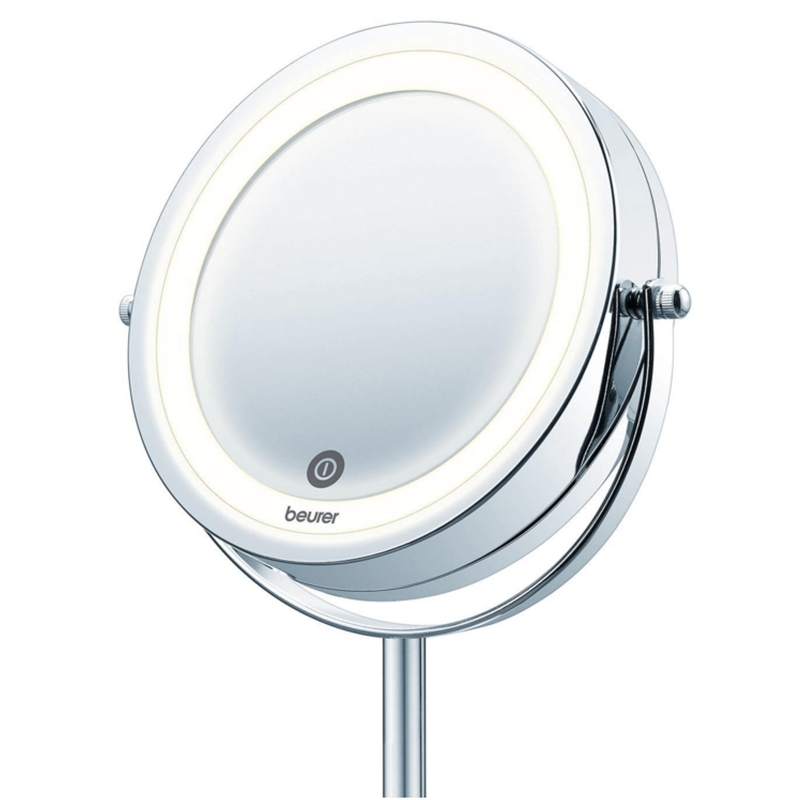 This Beurer illuminated cosmetic mirror BS 55 will be ideal for your daily facial care routine or when applying makeup. 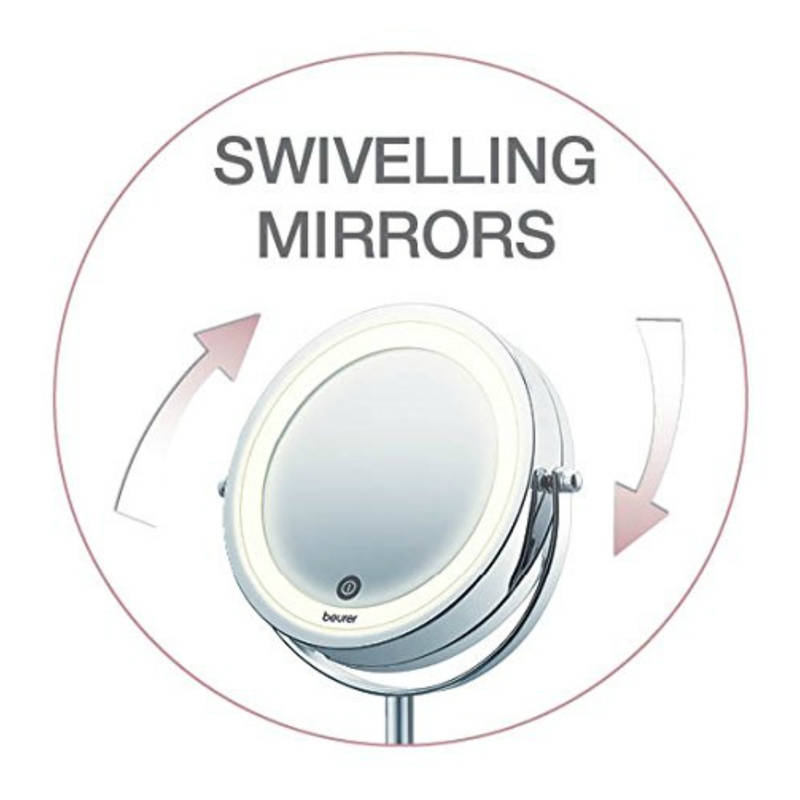 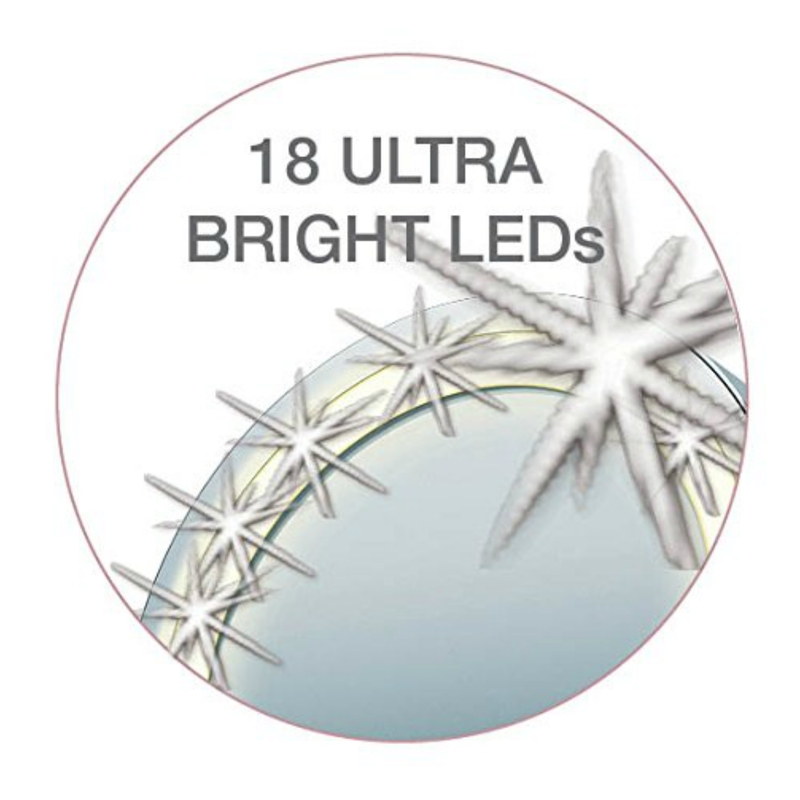 The mirror surfaces have a diameter of 13 cm and are framed by 18 bright LEDs. 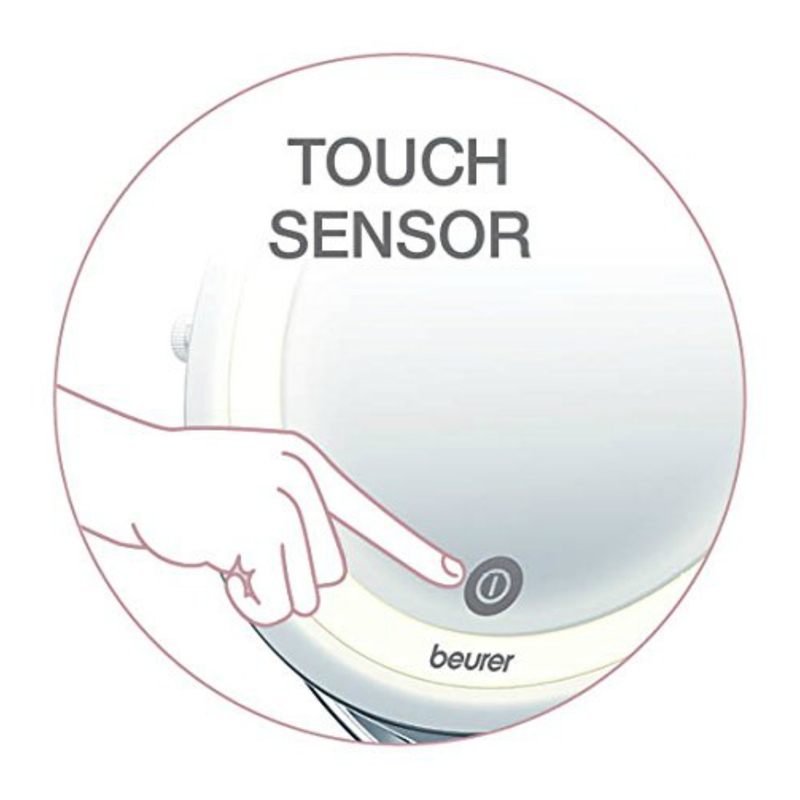 The touch sensor makes it easy to use. 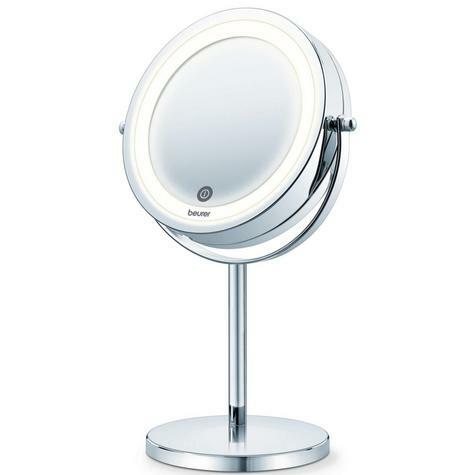 It has two sides, one normal side and the other side has a magnification of 7 times. The mirror works on four 1.5 V AAA batteries, which are included in delivery. Incl. 4 x 1.5 V batteries AAA.